This is the original drawing of West Ford in an ornate frame from the archives of the MVLA. 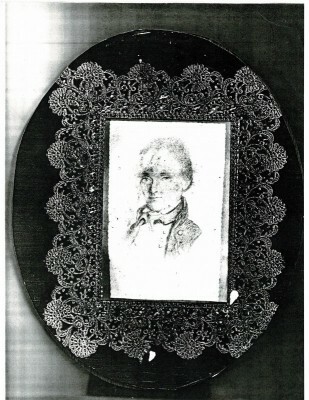 Linda Allen B. Hollis took the photo while during research on the family's legacy. Mount Vernon would not give the photo over to the family wanting to keep it in their collection.